BRABU B.Ed. 2019 – Babasaheb Bhimrao Ambedkar Bihar University (BRABU) conducts BRABU B.Ed. Entrance Exam and releases online application for the same on its official website, www.brabu.net. Candidates can appear for this university level exam on for 2 year B.Ed course admission to BRABU member colleges. The examination is conducted by the last week of July, 2019 in offline mode. Further, a seat is allotted only after one qualify for the exam and gets verified all the necessary documents. To know more about BRABU B.Ed. 2019, a candidates can keep reading! Candidates need to attempt 120 questions, carrying one mark each from General English Comprehension, General Hindi, Logical & Analytical Reasoning, General Awareness and Teaching – Learning & the School. To keep a track of BRABU B.Ed. 2019 entrance exam related events, a candidate can refer to the table provided below. 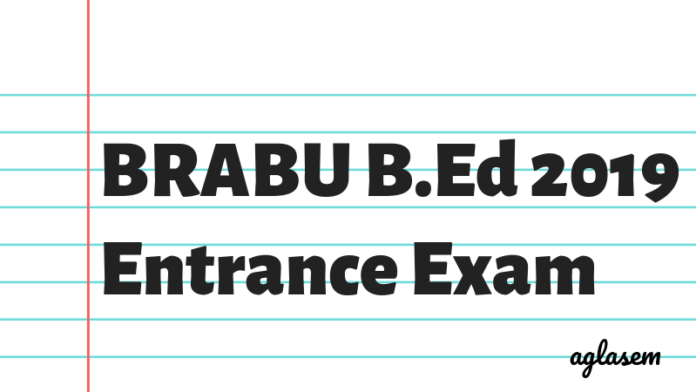 Candidates need to appear and qualify for BRABU B.Ed. 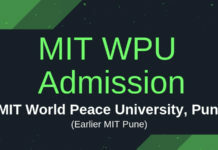 admission rounds, in order to prove oneself eligible for admission to this University. As and when BRABU releases any notification for this year, a candidate needs to appear and complete all of these below listed steps, within the allotted time frame. Check your name in the merit list released by the BRABU. Report to the allotted college and clear all the admission formalities. The candidates with minimum 50% aggregate either in the Bachelor’s Degree or in the Master’s Degree in Science/Social Science/Humanity/Commerce. Candidates who have Bachelor’s in Engineering or Technology in Science and Mathematics with minimum 55% aggregate or any other qualification /examination recognised by the Academic Council of respective University equivalent there to be eligible for the admission in this course. Interested and eligible candidates will have to fill the application form for BRABU B.Ed. 2018 through online mode on onlinebrabu.in. Candidates need to keep the following details handy. Firstly, the candidates need to visit the home page of the official website. Now, the candidates have to register by entering the required details. After the registration, the candidates have to login using the registered email Id and password. Now, the candidates can fill the complete form by entering the correct information. Candidates have to upload the scanned images of a photograph of size less then 100kb and signature of size less than 50kb. After completion of the form, the candidates need to pay the application fee in online mode only. Lastly, the candidates need to download the filled up application form after the status for payment is displayed as ‘Paid Successfully’. As per the details filled over BRABU B.Ed. 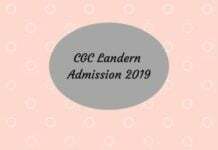 2019 Application form, a candidate is issued the admit card in online mode. BRABU releases the download link of BRABU B.Ed. on its official website, brabu.net. Candidates require their email ID and password to login and retrieve their BRABU admit cards. Check all the details printed on it, before downloading it. As at the time of BRABU B.Ed. admission, these details are verified and only after which a candidate is finally allotted a seat. Make sure, to download sufficient copies of it for future reference purpose. Question Type: The questions will Be of Multiple Choice Questions with four answer options. Number of Questions: There will be total 100 questions including all the sections. Marking Scheme – Each question will carry one mark and there will be no negative marking. The candidates will have to report half an hour before the commencement of the examination at the examination centre. Candidates must carry the admit cards along with a photo identity proof at the examination hall. Candidates must retain the copy of the admit card and the score card for until the end of the admission process. 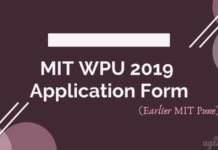 Candidates have to fill the correct information in the application form; no correction opportunity will be provided to candidates once it is submitted. Candidates must go through the official website to get updates about the examination and admission process. After the BRABU B.Ed. 2019 entrance examination, the conducting body will declare the result of the examination. The candidates will be shortlisted for the Merit List on the basis of the B.Ed. 2019 Result. The result will be published on the official website www.onlinebrabu.in. The direct link is also provided on this page, after its release. BRABU announces the result tentatively 10 days after the exam has been conducted.